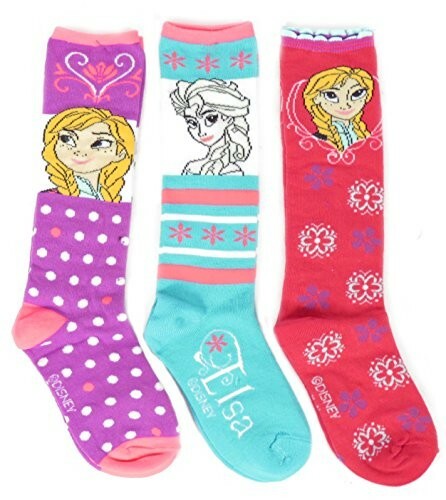 Fans of Disney's Frozen will love this 3-pack of knee socks featuring Anna and Elsa! These 97% polyester, 3% spandex knee socks are comfortable and colorful. Available in sock size 6 - 8, fits kids shoe sizes 10.5 - 4. Please note: designs are selected at random from available options. 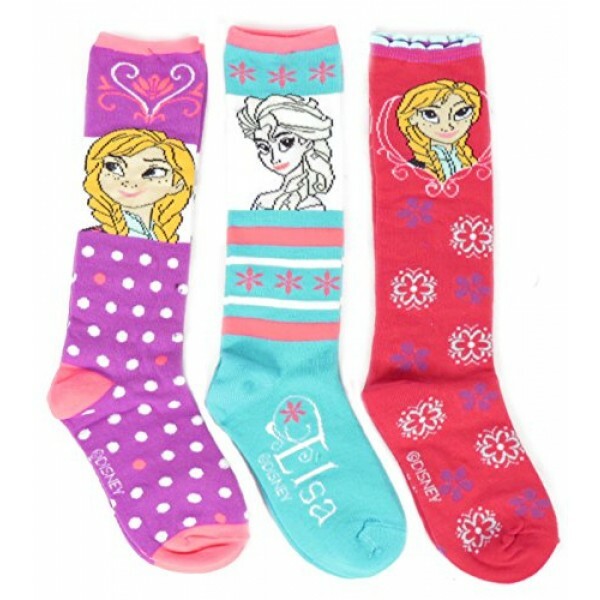 For more products featuring these popular characters, visit our Frozen Collection.